This is the Specialty Plant Guide in our A to Z guide to plants -- how to care for them, landscaping with them, and cooking and healing with them. When there is just too much of one type of plant to put in a single lettered page, I have created special pages which enable me to use all the photographs I have. I hope you enjoy seeing them as much as I have enjoyed growing them, admiring them in a neighbor's garden or in a botanical garden somewhere else in the world. These are some of my very favorite plants. 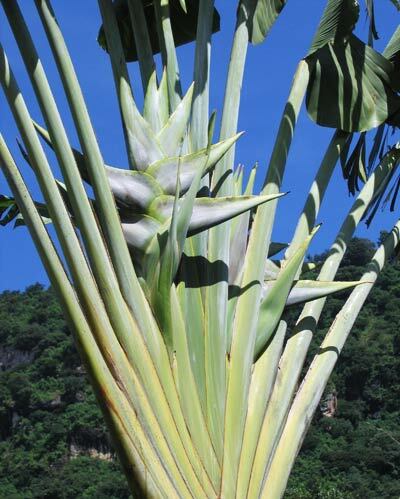 They are extraordinary plants that usually require hot, full sun and a not inconsiderable space in the garden. Even given that, I would recommend having one or two for their dramatic presence. Long known for their healing properties, aloes have had little appreciation for their beauty and that's a shame as you will see. Here are some of the great amaryllis which we have had in pots and in our gardens since we enjoyed them so much at our wedding. 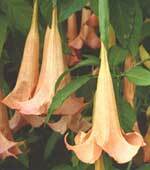 One of my all time favorite flowers the angel trumpet comes in all colors and distinctive shapes. Anthuriums are truly tropical and exotic plants and can be enjoyed the world over, inside and outside. Bananas and plantains, who can say enough? Perfect packaging, wonderful taste, versatile and rich in flavor and all in a food that is good for you too. Don't forget to check out our all time favorite recipe for banana bread. 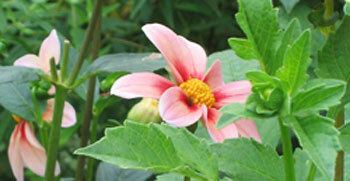 This has always been one of the most popular shady garden flowering plants. 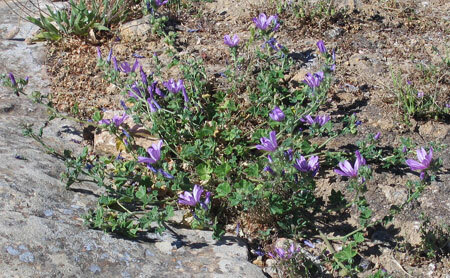 The foliage is often lovely as are the flowers. As an added bonus most begonias are easy to care for. 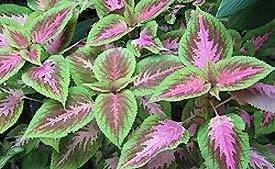 As with coleus these might be very good plants to introduce into a children's garden as they would most likely have good luck with these shade lovers. Botanical Gardens are always our first stop if we are visiting a new city or small country. The variation and health of the plants often gives us a clue to how its people feel about their country and its biodiversity. Here in Panajachel, the magic colors of Bougainvillea brighten my life daily as I look out my window while writing about plants and their mysteries. 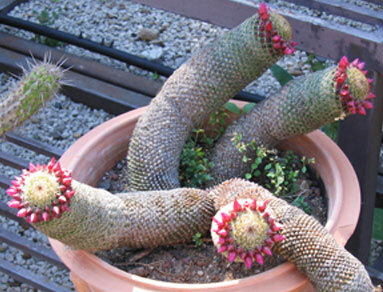 I came to admire these enormously interesting plants rather late in my gardening career. Now I can't get enough of them. Over the years I have developed a passion for these plant survivors. I left behind a cactus garden at our home in Montserrat in the Caribbean, but I have a new one well underway here at Lake Atitlan. Sadly I have no idea what most of them are. I will really appreciate hearing from you if you have knowledge to share. 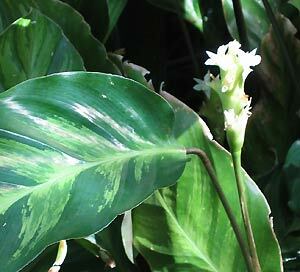 Calatheas are the warm climate gardener's answer to ground ivy in northern climates. But, they are so much more. Have a look. 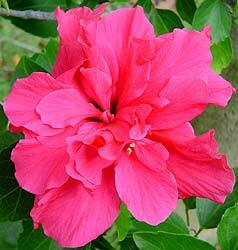 These are a wonderful and dependable staple in any tropical garden. After living in Mexico for over fifteen years, I developed a fondness and deep appreciation for the use of chiles in flavoring food and in curing what ails you. I hope I will open a door for you to see what really adds spice to their lives and food . . . CHILES of all kinds and sizes and flavors. Do take a look at a terrific Adobado recipe given to us by a woman who enriched our lives and who will always have a special place in my heart for however long I roam this earth - Felipa Martinez. 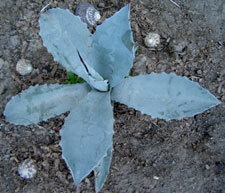 This is one of my very favorite families of plants for a warm climate garden. From the twining bleeding heart to the left to what we affectionately called our gorgeous "q-tip plant," you'll find very easy to grow and flexible plants that will please you every day all year. These are not my favorite plants even though they are hardy and almost indestructible. Normally that would make me feel very kindly to them, but I think our relationship started too early and just wore itself out. HOWEVER, I think these are perfect plants to teach children about the garden. They will love the colors and leaf shapes and they will never be disappointed by a death. Now that I'm remembering, my roommate Deborah S. attending the Rhode Island School of Design was very taken with my coleus plants and became a devoted gardener forever because of them. This is not one of my favorite plants I think because I always saw too many pretty sad examples growing inside offices in New England. 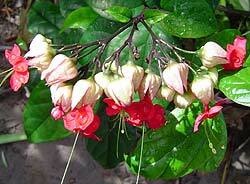 Still there are a few that we had in our garden in Montserrat that overcame my reluctance to give them the appreciation they deserve. This is one of those excruciatingly beautiful family of flowering plants. From tiny cotton ball sized flowers to dinner plate sized flowers and everything in between, dahlias are going to dazzle you. These are the polar opposite of angels trumpets as the flowers point upwards while the angels droop downwards. Both are exquisite. 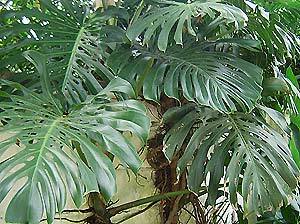 I think fern gardens or even housebound hanging ferns bring us more peace than many of our pills and potions. As the name of the page implies I have no idea what these flowers are and I could really use your help. Take a look and get in touch. Just saying frangipani says it all! Here you are going to find this and that thing I have found in a garden somewhere in the world that I wanted for my own garden. I always took photographs so I could have things made or order them if possible. I hope you find this useful and maybe even imaginative. This is a page of my sometimes rambling thoughts on health with lots of non-commercial home remedies for what may ail you. I hope you find it useful. What warm climate garden does not have heliconia? 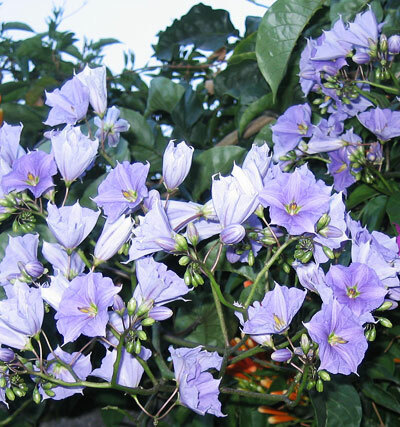 It is a garden staple, like lilacs in New England. This used to be just an attractive warm climate shrub with appealing brightly colored flowers. Plant breeders have changed all that. Take a look. 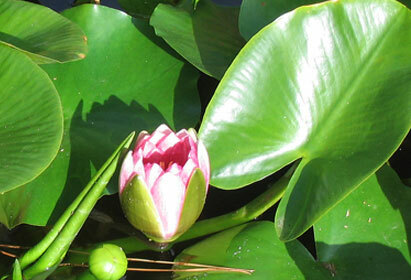 For experienced gardeners, landscaping is an evolving concept. We grow something and maybe move it or discard it or grow more of it. We know that having hot sunny areas and shady cool areas in the garden seems just right for enjoying our time outside to the maximum. This page will give you some ideas of what to do that will make your garden most pleasing to you. 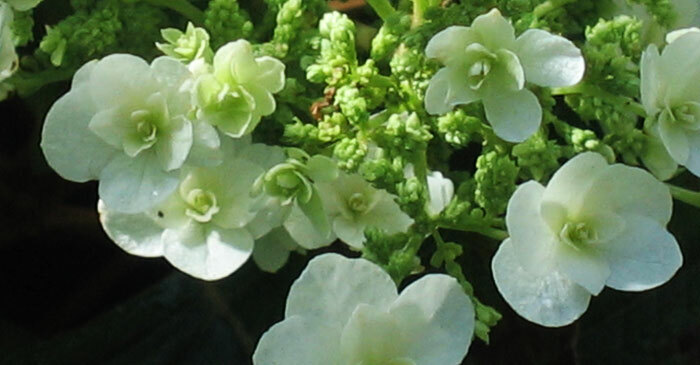 These are some of my very favorite flowering plants. I hope to be expanding this page very soon. These are some of the plants I've encountered or even had in my gardens whose names I don't know. If you can help identify them, I would be very appreciative as I can then learn more about them. These are a real luxury in warm climate gardens. These are the tree standards in warm climate. I can't imagine a garden without at least one variety. These are warm climate must haves. 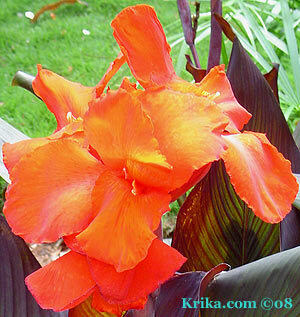 They are easy to grow and the flowers are extraordinary. These are the good old standbys in shady warm climate gardens. You'll find them climbing trees and trellises, decorating everything in lush foliage as they go. I am not sure why, but roses were never on my favorites list though they are getting very close. Right now I love seeing them in other peoples gardens where they can cope with the difficulties. This is one of my favorite pages for the lush exquisite blossoms water plants are know for and because being near or in water seems a little like an image of heaven. I am a lover of almost all plants, but one of my real passions is wildflowers. Take a look.